Come enjoy breakfast at Applebee’s with your Lynnwood-Alderwood Manor Heritage friends. Tickets are $10 and will be available at the Heritage Cottage, by phone at 425-775-4694, or through our Gift Shop. Tickets will also be available at the door. The City of Lynnwood turns 60 on April 23rd this year, incorporating in 1959. 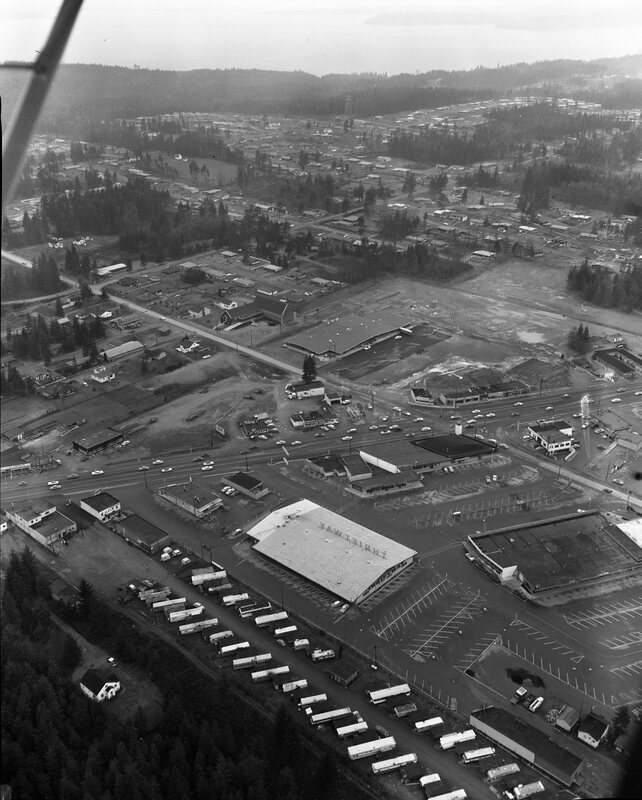 Join us as we look back at the history, changes and growth of Lynnwood during the past 60 years. This program will be followed by a “Visit with the Historian” at 11:30 a.m. Come meet Lynnwood’s historian, Betty Gaeng. Betty has been very instrumental in documenting Lynnwood’s history through her articles written for Lynnwood Today. Betty will be moving to Anchorage the end of March so this will be an opportunity to meet her and wish her well. Join us for coffee and cookies, this program is free and open to the public. 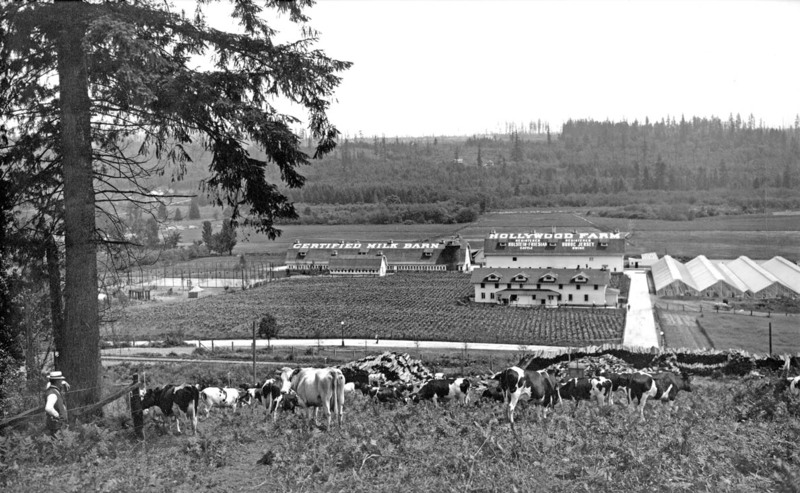 Join us in our annual clean-up of Heritage Park and the buildings within the park (Lynnwood-Alderwood Manor Heritage cottage, the Wickers building/Visitors Information Center, and Sno-Isle Genealogical Society). All abilities and ages are welcome (youngsters must be accompanied and monitored by an adult). 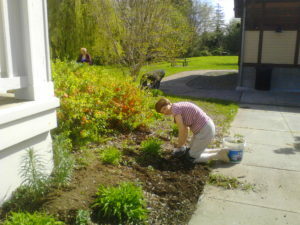 We will be landscaping, weeding, and re-barking the park; washing windows, mopping, and dusting the interiors of the buildings; and washing windows, mopping, dusting, and spraying the Seattle-Everett Interurban trolley. Potluck lunch will be provided! Free Community Program: Cows and Carnations, The Stimsons of Hollywood. The Stimson family is one of the more famous names in NW History. Brothers Charles Douglas and Frederick Spencer gained great wealth in the timber industry as part of the Stimson Lumber Co. Kevin Stadler Vice President of the Woodinville Heritage Society will tell the story of Frederick and Nellie Stimson, how they came to Seattle and established themselves in the fabric of the city and going on to establish the famous Hollywood Farm at Woodinville now home to Chateau St. Michelle Winery. This is our annual fundraising event that does not require you to attend an auction, dinner, dance, bake sale, etc. You can stay in the comfort of your home and make a donation to the Lynnwood-Alderwood Manor Heritage Association. Car 55 of the Seattle-Everett Interurban trolley will be open to the public and tours will be available between 11 a.m. and 3 p.m. Plus, all buildings in Heritage Park — Lynnwood-Alderwood Manor Heritage Association, Sno-Isle Genealogical Society, and the Snohomish County Visitors Information Center — will be open for visitors. 11:00 a.m., Lunch at 12:00 p.m.
Join us for our annual picnic at Heritage Park. Bring a potluck dish and enjoy the afternoon visiting with old friends and meeting new ones! Please invite your friends, family, and neighbors to join us to step back in time and sit a spell at an old fashion picnic. We will be “passing the hat” to help pay for table and chair rentals, utensils, plates, etc. Parking is available at Child Strive (formerly the Little Red School House) just south of the park. For more information or questions call the cottage at 425-775-4694. This is a rain or shine event. Once again Santa Claus will be visiting us at the Heritage Cottage for an afternoon of friendship, coffee, hot cider and cookies. Bring your friends, family and camera to visit with Santa.